This is a collection of short stories about relationships between black and white men and women in Africa. The books are hand- made and beautifully illustrated by artist Gabriel Tanzel Raacke in stark black-and-white drawings that evoke the psychological undertow of the stories. One example is Kenny Mann of Sag Harbor, who was born and raised in Kenya. For 15 years she has been writing stories about Africa and the relationship between racial groups there. In September Wiseacre published “Yellow Dog Dreaming,” a collection of some of the stories illustrated by Gabrielle Tanzel Raacke of East Hampton, who is a native of Germany. 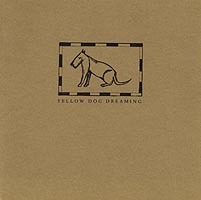 She has not gone on the Internet yet to discuss “Yellow Dog Dreaming” with readers but she is looking forward to the experience. “I’ve done public readings,” she said, “but with them a very small audience is hearing for the first time only a small portion of your work.